2 layer board of 0.55 x 0.45 inches (14.0 x 11.5 mm). 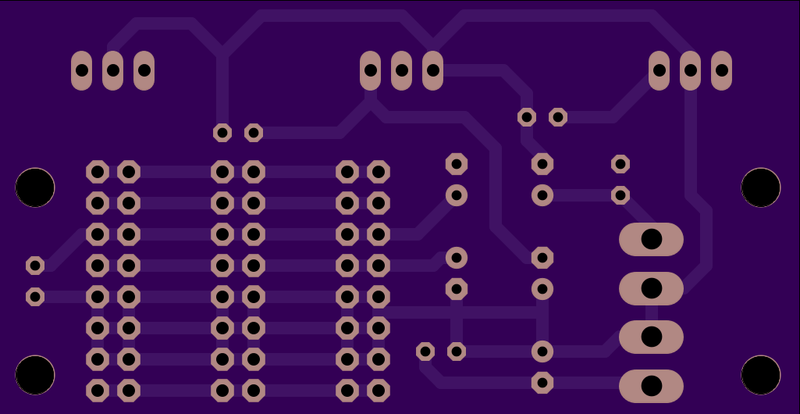 Uploaded: August 9th, 2015 21:28. 2 layer board of 3.94 x 1.90 inches (100.0 x 48.3 mm). Uploaded: May 5th, 2015 00:04. 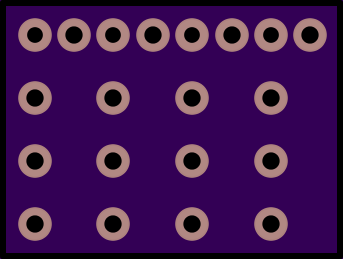 2 layer board of 3.56 x 1.53 inches (90.5 x 38.7 mm). Uploaded: May 31st, 2015 18:20. 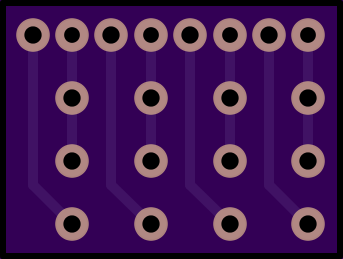 2 layer board of 0.86 x 0.65 inches (21.8 x 16.5 mm). Uploaded: May 7th, 2015 21:53. 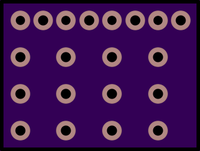 2 layer board of 2.56 x 1.33 inches (65.1 x 33.7 mm). Uploaded: September 7th, 2014 20:12. 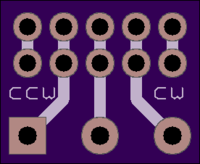 For modular synthesizers. 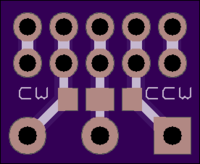 Converts +/-15V MOTM power to +/-12V and +5V Eurorack power. 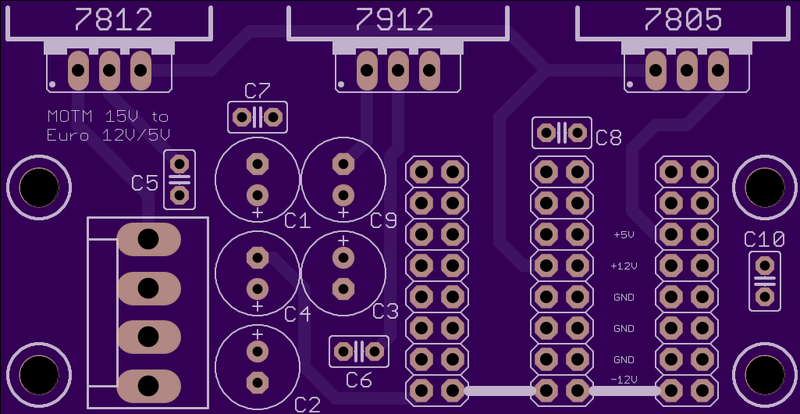 There are many suggested values for capacitors in 78xx/79xx circuits so I haven’t specified any particular values, but I have used 22uF electrolytics and 100n ceramics on the boards I have built.